On our way to Mendoza, Mark and I sidetracked it to Montevideo, Uruguay for two days, wine was the reason! My curious mind seeks the obscure and lesser know… non-center stage items. We’ve been fortunate to travel a bit, exposing us to new food and wine. Uruguay was definitely one of those trips. The country is considered a “newly developing wine nation”. Although they’ve made wine there for 250 years, commercialization just began in the 19th century. And it began with a large amount of bulk rosé wine from the Black Muscat grape. The signature grape of Uruguay is Tannat, brought in the 19th century by the Basque born immigrant Pascual Harriague. 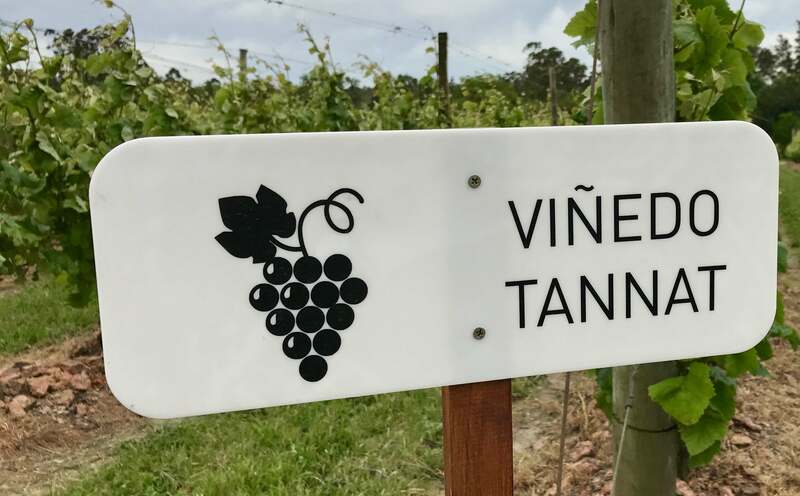 Early on Tannat was referred to as the “Harriague grape”. Other international grape varieties include Cabernet Sauvignon, Merlot, Cabernet Franc, Malbec, Chardonnay, Sauvignon Blanc and Viognier, along with a few odd balls not mentioned. We took a ferry from Buenas Aires to Montevideo, an easy 2-hour ride. 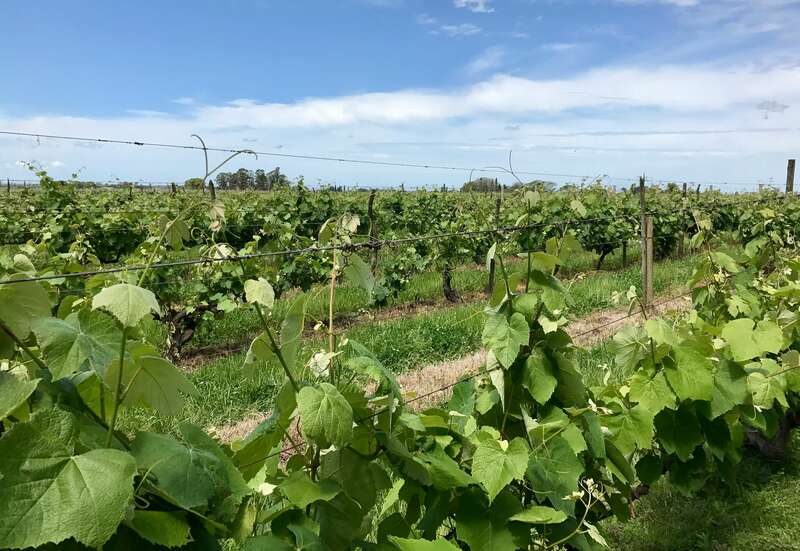 Most wine is made in the southern Uruguayan departments of Canelones (just outside the capital Montevideo) and San Jose. Montevideo/Canalones wineries are just beyond the port city, the closest are about 20 minutes away. You’ll find a few wineries in Atlántida and near Punta del Este at the coast, east of Montevideo. And also the northerly areas of Salto and Cerro Chapeau which are inland and north. In Montevideo, the climate feels quite similar to Bordeaux in the spring: slightly humid, a storm can roll in with rain at any time, then the clouds part and it’s comfortable. I learned it does indeed have a Bordeaux like climate though a tad warmer. Atlantic Ocean to the east and the huge Rio Plata estuary to the south. Being relatively flat with no mountains acting as weather barriers, all wine producing areas are susceptible to wind and weather. It’s humid, rains a great deal (average annual precipitation is 39 inches (950 mm) and can get warm during summer in parts of the country. Northerly areas of Salto and Cerro Chapeau are much drier and hotter in summer. Alluvial clays, silts, and sand / sandy gravel overlying a limestone bedrock. 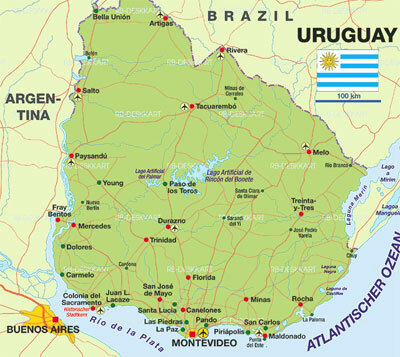 No mountain ranges; the highest point in Uruguay is just 514 meters (1,650 feet) above sea level. Due to travel challenges, we made it to just two wineries (two and a half really). Today we are sharing one of them with you. Don Prospero Jose Pizzorno emigrated from Italy and founded the winery in 1910. 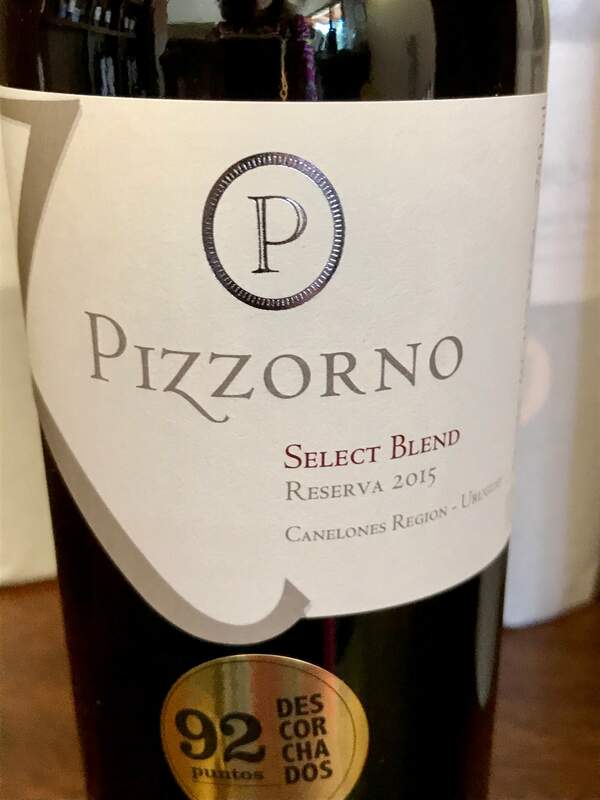 The fourth generation of Pizzorno are now running this small winery. What was immediately apparent was the friendliness and hospitability of the few people at this small winery. Lucio, head of tourism (and recently out of enology school) was our host. 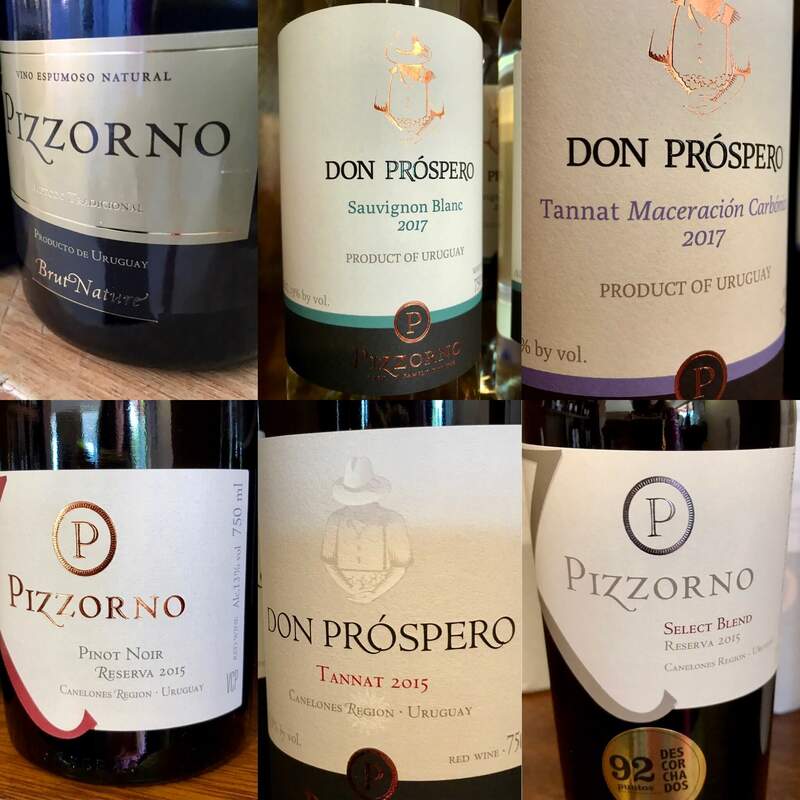 There are way more grape growers than wineries, and most all wineries are small, family owned like Pizzorno. Because of this and investment costs being very high, a community of sharing is prevalent. Uruguay has to import all winemaking equipment- they don’t manufacture any. Most bottles and machinery are imported from Brazil and Italy. A great deal of equipment is purchased by wineries together then shared. On our informational vineyard tour we learned that most grape growers took advantage of government incentives urging them to pull up the hybrid North American native Vitis Labrusca and plant other varieties to improve wine quality. We were wowed by the chardonnay sparkler, not expecting any bubbles. The Sauvignon Blanc jumped out too- more similar to a Napa Sauvignon Blanc (Cliff Lede comes to mind). Such a fun wine with a distinct personality! Conclusion: Served slightly chilled, this is a palate pleaser, fresh and alive smoothing to pure enjoyment. A semi-carbonic macerated wine. A 60% Tannat, 30% Merlot and 10% Cabernet Franc blend, this was our favorite taste of the day. Each of the three grapes spent 12 months in 2nd and 3rd use French oak barrels, were blended, then the final wine spent an additional 6 months in the same oak. Conclusion: Rustically elegant wine with a full and round initial mouth feel. The wine presented spices (cardamom and nutmeg) and a touch of red pepper before ending with a crushed velvety palate feel. It was a treat to tack on this short side trip, albeit only for 2 days. We’ve earmarked several additional small wineries for a hopeful future trip. In the meantime, we highly recommend checking out what’s going on in the Uruguayan wine scene! Most all wineries produce a brut sparkling wine for local consumption. Tannat in Uruguay doesn’t usually produce fruit-forward, high alcohol wines, it’s older world (think France or Spain). Majority of exports go to Brazil, with a small amount to the U.K., Sweden, Germany, Belgium and a small amount to the US. Uruguay is a zero tolerance country when it comes to alcohol! Uruguay lies between parallels 30 and 35 degrees south. Cities in other countries that lie in the same zone are Tokyo, Los Angeles, Sydney and Perth, Beirut, Cape Town, Shanghai, and Tel Aviv. For an inventive and flavorful dinner, go to Jacinto in the old section (Ciudad Vieja). If you plan to visit, check out Wine Roads Uruguay (Los Caminos del Vinos). There are several agencies and a few tour groups that offer tours. It’s also easy (and not too expensive) to get a taxi or Uber to Canelones wineries. 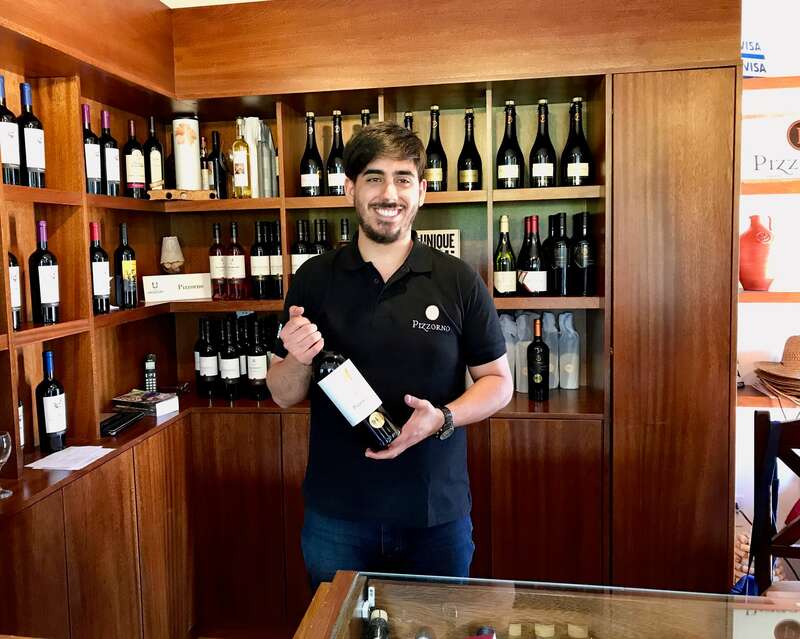 Thanks for this glimpse inside Uruguay’s wine scene. It’s interesting (and heart-warming) that the small growers work so closely together, sharing the cost of supplies and supporting each other. Can’t wait to read more from your South American odyssey! It’s refreshing to see the Canelones/Montevideo wine community working together to help each other and promote the wines of Uruguay. I’m looking forward to going back for sure! Thanks for the post about Uruguay! We had planned to stop there during our September trip to Argentina, but there was just too much to see in NW Argentina to fit it in. Will try to get to Uruguay the next time though; thanks for further piquing our interest!